UV-CLEAN units are equipped with a rotational head that houses both the UV-C light and an LED task light. The rotational adjustment feature allows you to tilt it at an angle best suited (0-15 degrees) for your disinfection area or the task at hand. 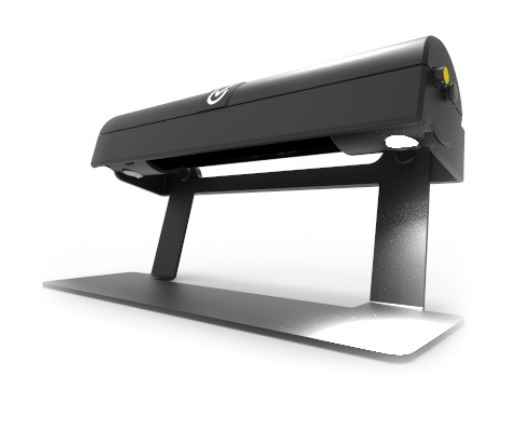 UV-C light is dispensed at timed intervals with low levels up to 24 inches away, to disinfect contaminated high-touch surfaces or objects. The UV-CLEAN unit’s rotational head has a power button for the energy-saving LED task light. The yellow LED power button is easily accessible on the side of the rotational head. Press the button to turn on the LED task light when you need some lighting. And when you finish your task, simply turn it off. Adjust the head position to cast the LED Task lighting at the right angle (0-15 degrees) for your work surface. Attach To A Proximity Cabinet. 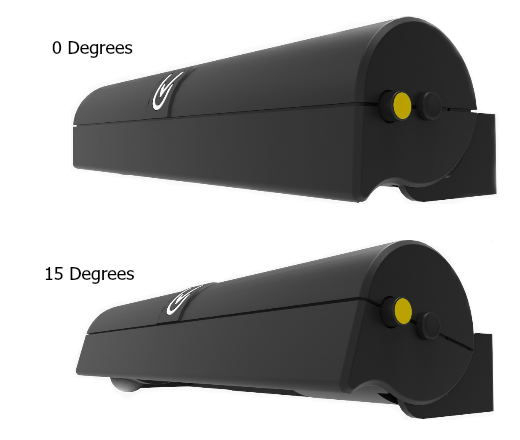 The Retrofit unit is designed to easily attach to most existing Proximity wall cabinets. It comes pre-assembled and includes a simple industrial (super-strong) two-side tape that makes it easy to adhere the unit to the cabinet. 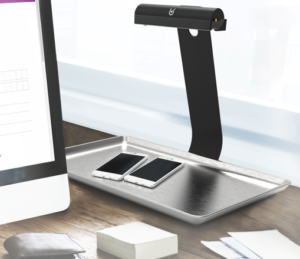 The Clamp Mount unit clamps on securely underneath a monitor to provide UV-C disinfection to the entire work surface below. The Standalone unit provides a convenient area to place your mobile or electronic devices for quick yet effective UV-C disinfection. 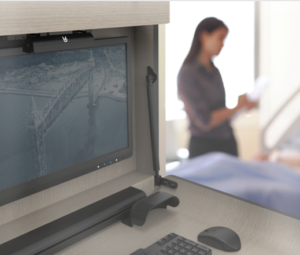 Simply place your devices (tablets, cell phones, watches, …) in the stainless-steel tray and walk away with full confidence in the automated disinfection cycles. 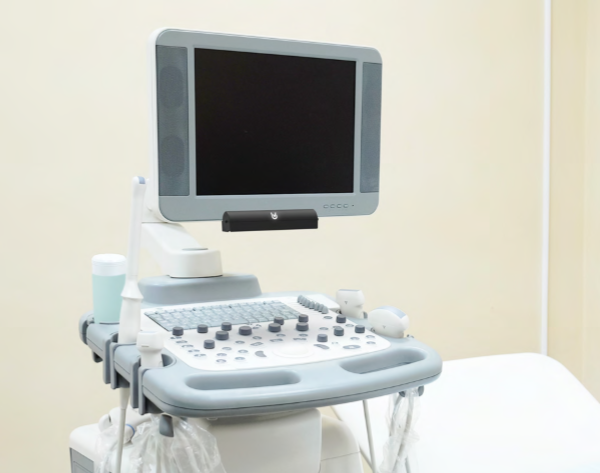 The Standalone unit requires minimal assembly to attach the rotational head to the stand. 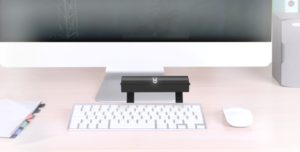 The Surface Mount is designed to be used as a free-standing unit that sits conveniently over your keyboard surface for automated cleaning cycles. It comes pre-assembled for a quick and simple installation. 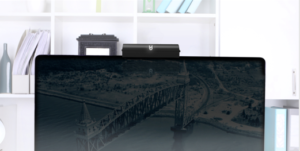 You can also remove the stand and attach the rotational head to the top of any monitor bezel. Contact us for product demos, or if you would like more information on how our affordable UV-CLEAN product line can enhance your disinfection control measures or systems.